Over the course of the year I take a lot of photographs, thousands it turns out. For the cameras such as the Fuji W3D this works well. For my mobile phones, well Androids really, it presents a problem. It seems every release of Android uses a new scheme, sometimes sequential, sometimes one date format. And then I also take photos with my iPhone. 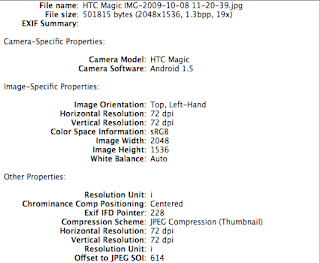 So I was looking for a way to firstly standardise the naming scheme and secondly to put the camera model into the filename. 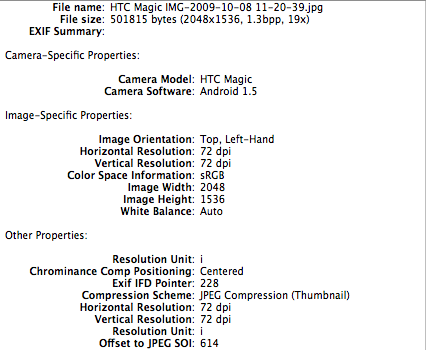 All the data I need is in the EXIF data. 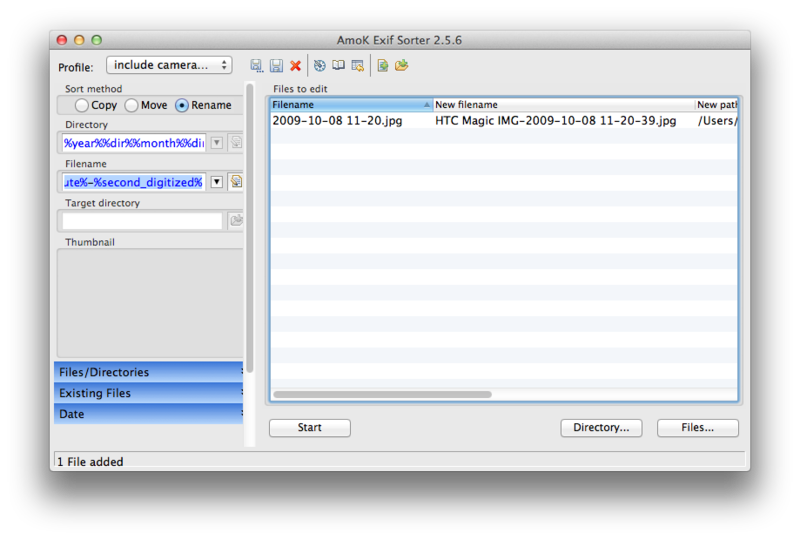 After a bit of looking I found Amok Exifsorter. It has a graphical interface and the GUI does all I need. I did try using EXIFTool, but found it less easy to use. I can then sort and sift based on camera or phone model. For bonus points you can use EXIFviewer to find out all the tags in the photo, and then use other tags in the file name such as GPS data or image size. - the website is flagged by OpenDNS as hosting Internet Explorer exploits and other malware. Google's compromised web site feature doesn't flag. I found that OpenDNS flags them while writing this article in an Apple store, waiting for my MacBookPro to be repaired. Who knew Apple use OpenDNS? - the Exifsorter app is a bit crashy. On OSX Lion you think it'll take drag and drop, but then crashes.